The historic former home of the du Pont family, now a museum showcasing a collection of art and antiques, the Winterthur estate and surrounding gardens are a magnificent wedding location in Delaware's Brandywine Valley. Set amidst rolling hills, valleys, and acres of expertly planned gardens, Winterthur stuns at any time of year. Couples come here to be surrounded by beauty, be it the cultivated sort or the abundant natural beauty present here. 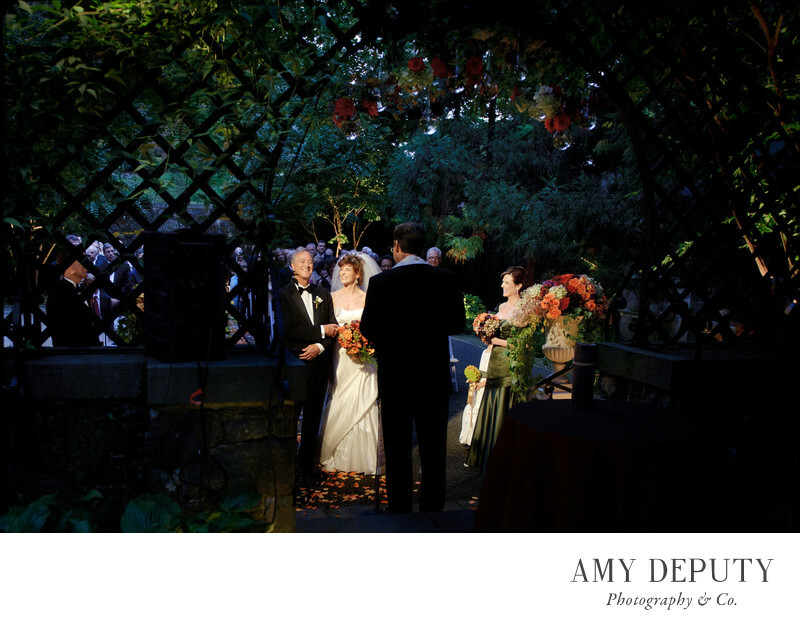 The grounds offer a perfect setting for an outdoor garden wedding and some of my very favorite spots for amazing wedding photos. Inside, guests are wowed by the historic and artful decor and details. Winterthur is both elegant and inviting. Time and again, this top Delaware venue lends itself to memorable moments surrounding beautiful unions.